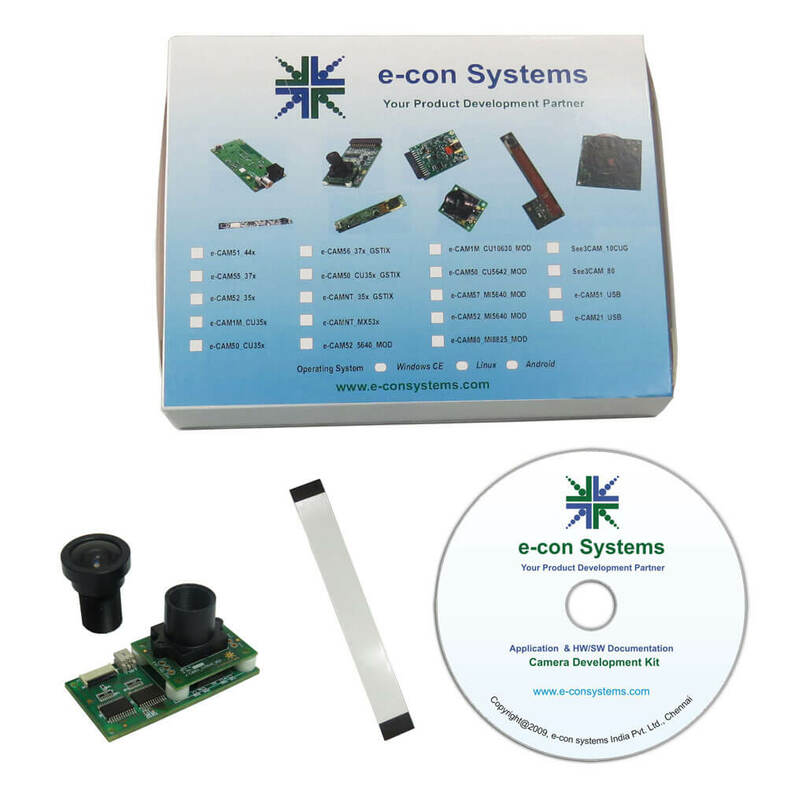 The e-CAM51_CU35x_GSTIX is an add on board from e-con Systems which works plug and play with every Gumstix® Overo® computer-on-module (COM). 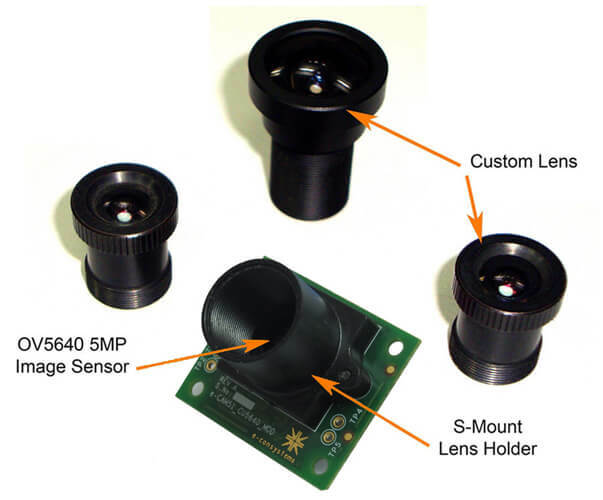 This board provides the still capture upto resolution of 5MP with custom lens. Each Gumstix® Overo® COM is powered by a Texas Instruments' (TI) OMAP Applications Processor and has the same 27 pin header to which the e-CAM51_CU35x_GSTIX can be interfaced. 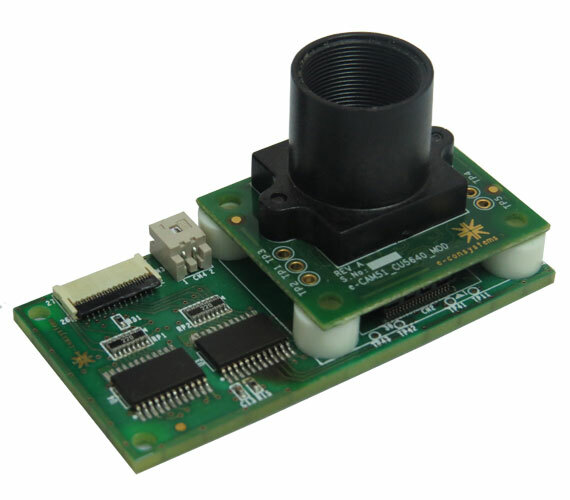 e-con’s new e-CAM51_CU35x_GSTIX camera board for Gumstix® Overo® features the e-CAM51_CU5640_MOD camera module and hence provides the customers with an opportunity of integrating the lens of their choices. The e-CAM51_CU5640_MOD features the 5MP image sensor OV5640 from Omnivision. Plugs in to the camera interface of TI OMAP processor on Gumstix® Overo® COM. Lens Size - 1/4 "
On the Camera ISP backend, the camera module e-CAM56_37x_GSTIX nicely integrates with the 8-bit parallel camera interface. 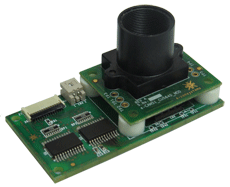 This interface can support up to 100MHZ for 8-bit parallel camera data. With this clock, e-con has achieved capturing of video at 30fps at 720p resolution from the e-CAM56_37x_GSTIX camera daughter board. The daughter card (e-CAM51_CU35x_GSTIX) can be bought by customers choosing to evaluate the e-CAM51_CU5640_MOD camera solution with a direct interface on the Gumstix® 's Overo™ COM. The evaluation kit features the e-CAM51_CU35x_GSTIX and the FFC cable to connect to the Gumstix® Overo® COM . A normal viewing angle lens is optional. e-con provides the details of where the lens is purchased and customers are free to pick up the required lens from a wide choices of 12mm S mount lenses. Customization of driver and application on request. For all enquiries please write to sales@e-consystems.com.